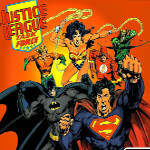 Play Justice League Task Force online. Sneslive is the best place to play Super Nintendo games online. Enjoy our SNES games flash emulator and have fun!